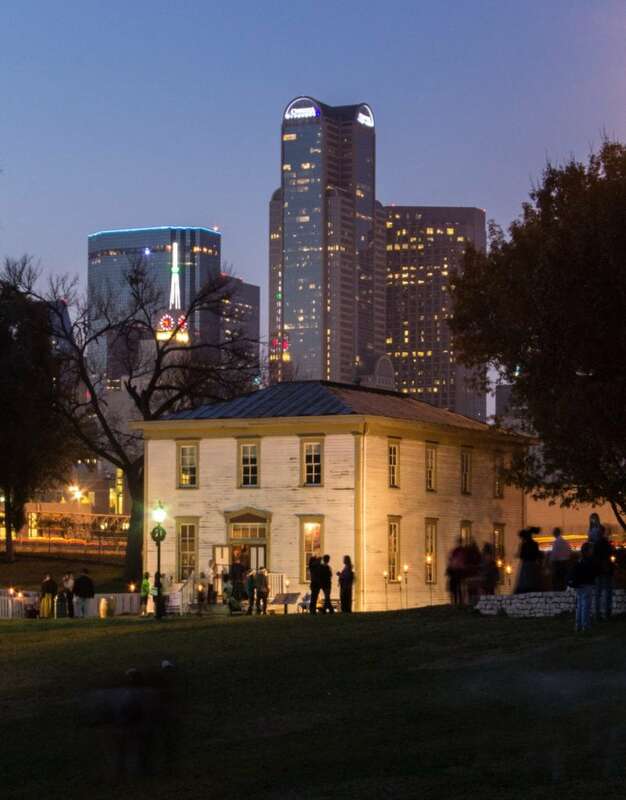 Candlelight event features festive holiday decor, over 600 candles lighting the paths, American Flyer model train exhibit, traditional carolers, crafts, surrey rides, entertainment, and some of Dallas’ most popular food trucks. DALLAS—As Dallas Heritage Village wraps up a year-long celebration of its 50th anniversary, it is planning for another important milestone. Candlelight, invites the community to its 45th year, December 10 and 11, from 3 to 9 p.m.
During Candlelight, pioneer and Victorian Texas is brought to life with costumed interpreters in historic buildings, circa 1840 to 1910, traditionally decorated by area garden clubs and featuring different holiday traditions. At the 1860s Farmstead, see how early Dallas pioneers enjoyed a modest Christmas as the country approached the Civil War. 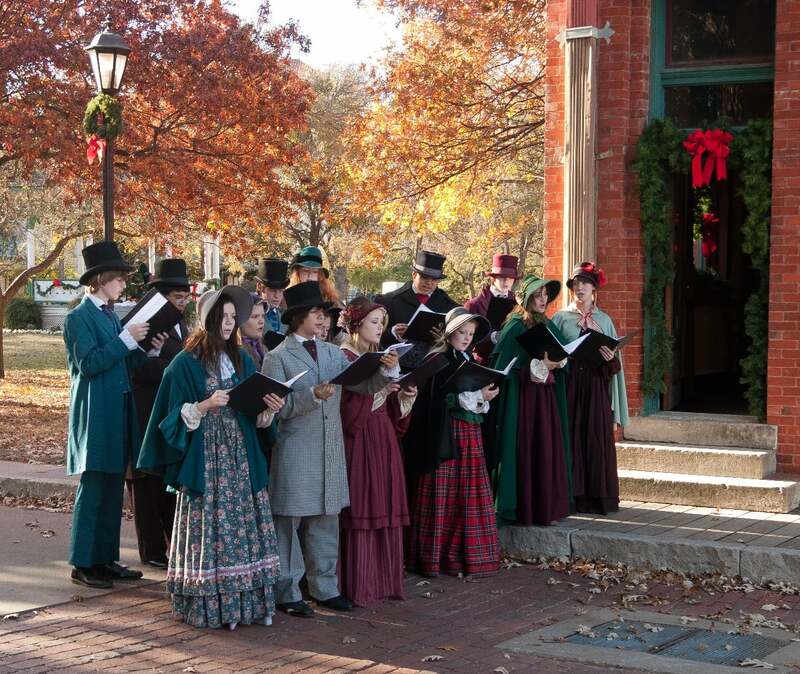 This annual festival features holiday traditions of the 1800s, including musical performances, crafts, holiday décor, carolers, a train exhibit. There is even a new exhibit in the Millermore home and a variety of festive foods including some of Dallas’s popular food trucks. “Candlelight-45 Years of Memories,” gives visitors opportunities to not only reminisce about past celebrations at a special Candlelight photo exhibit, but also to create cherished new memories with families and friends. All proceeds benefit museum programs at Dallas Heritage Village. General admission is $12/adults, $10/seniors 65+ and $8/children, ages 4-12. Children under 4 and museum members are free. 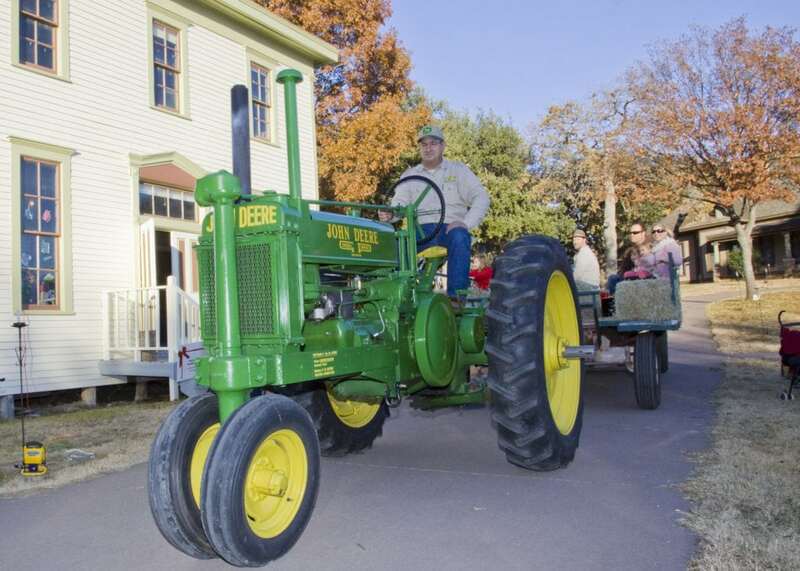 Take a hayride pulled by a vintage tractor at the Dallas Heritage Village. Head to the Depot to visit with St. Nicholas and see the American Flyer model train exhibit, operated by the Lone Star Flyer Model Train Club. Snap a picture with Village donkeys Nip and Tuck and our newest Mammoth Jack donkey team Willie and Waylon. Take a hayride pulled by a vintage tractor ($3 per rider). Watch local musicians, dancers, bands, choirs, and storytellers entertain at the Renner School (circa 1888), on the Main Street (circa 1900) stage, in the Pilot Grove Church (circa 1890). For a complete list of performances, visit www.DallasHeritageVillage.org. Local food trucks are on site along with Kettle Korn. The Dallas Heritage Village Guild will also be on hand with its annual sale of baked goods, jams, and jellies. New this year, visitors may take a tour of the temporary exhibit, “Millermore Exposed,” in the Village’s iconic antebellum home. The Village’s historic structures are open for touring during regular museum hours throughout December. Hours are Tuesday – Saturday, 10 a.m. – 4 p.m.; Sunday, 12-4 p.m.